The move by the Ecuadorian embassy to cut all communication for Julian Assange was triggered by his critical remark on the arrest of Catalan leader Carles Puigdemont, which compared modern Germany to the Nazis, a source says. 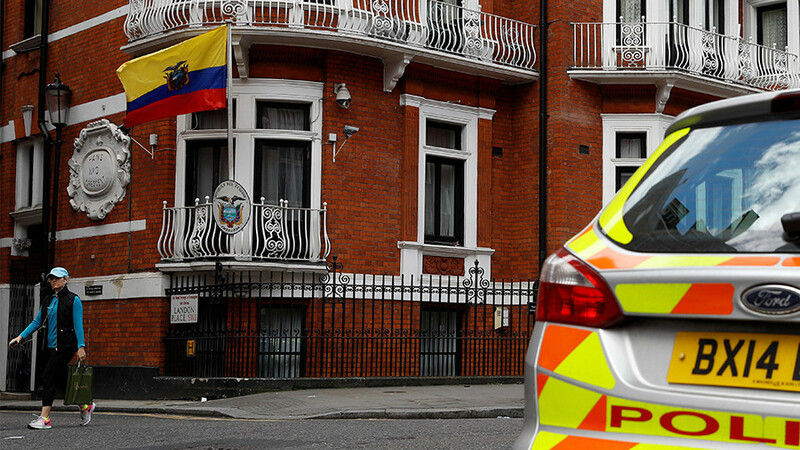 The WikiLeaks founder, who is stranded in Ecuador’s diplomatic mission in London, found himself in a total communication blackout on Wednesday. The ire of the Ecuadorian government, which chose to leave its embassy staff without mobile connection rather than allow Assange to stay online, was triggered by the fugitive activists’ remarks on Catalan politics, a source close to WikiLeaks told RT. Earlier this month, Assange criticized the German government for its decision to arrest fugitive Catalan leader Carles Puigdemont, who is wanted by the Spanish government on charges of rebellion and sedition for his role in organizing an independence referendum in the province. Assange compared the decision to that made by Nazi Germany, when it arrested Catalan leader Lluis Companys and handed him over to the fascist Spanish government of Francisco Franco. The unflattering comparison sparked anger in Spain and left Ecuador, which has been sheltering Assange since 2012, in an awkward position. According to the source, the Ecuador Foreign Ministry demanded that Assange delete the tweet, which he refused to do. He was consequently left incommunicado, having been stripped of internet access and no longer allowed to meet visitors in the embassy. The embassy reportedly installed electronic jammers to block all radio communications on its premises hours after an individual representing Assange’s interests was informed of “strong discomfort and concern that his declarations have caused in Ecuador's government” in an email obtained by RT. The jammers cause some disruption for embassy staff, who can no longer use their mobile phones due to the communication blackout, the source said. 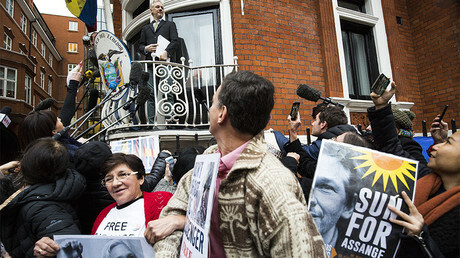 Ecuador earlier stated that Assange’s internet access had been blocked over his breach of a written agreement, in which “he vowed not to send messages interfering in the affairs of other sovereign states.” The existence of such an agreement has been contested by an RT source, who insists the whistleblower never signed up to any such deal. Puigdemont was arrested last week at the request of the Spanish government as he was returning from Finland to Belgium, where he was living in self-imposed exile. The politician led Catalonia into holding an independence referendum last year despite opposition from Madrid. He is now facing decades in prison for what he calls an execution of the democratic right for self-determination by the Catalonian people. Assange, who has become a fugitive to avoid arrest and extradition by the UK authorities, is sympathetic to the Catalan cause. The Australian says he had to hide in the Ecuador embassy to avoid a likely rendition to US justice. He says that he may face espionage charges in the US for WikiLeaks’ publication of classified material about American foreign and military policies, and could be jailed for a long time.